Perhaps the feature I personally am most excited about is the support for Android Wear that has come in this update. Now you can easily control alarms and timer management from your smartwatch as well as interact with alarm notifications. This to me seems to be a very natural extension of the app given that you will often have your smartwatch on during the day and can manipulate alarms and timers without actually having to touch your phone. 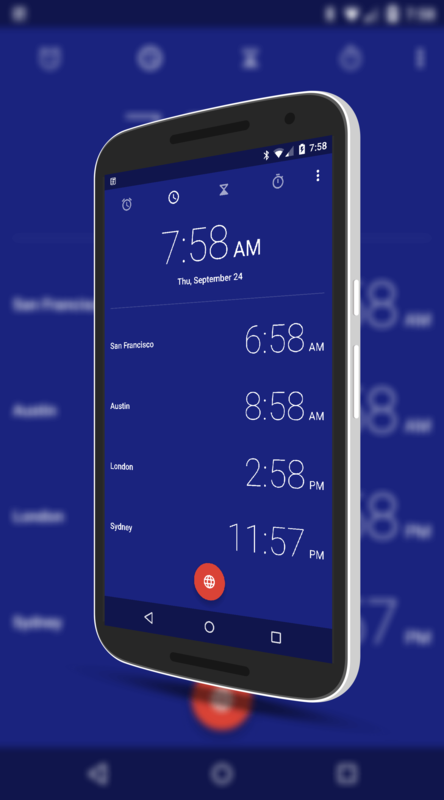 Google Clock is one of several apps that Google has released that were at one time native to Android Lollipop and Nexus devices exclusively. As I posted back in June, Google’s releasing of these apps to a broader Android audience is critical as they push for a consistent experience across all Android devices.